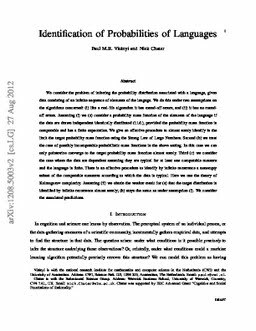 Vitányi, P.M.B, & Chater, N. (2012). Identification of probabilities of languages. CoRR abs.